Singapore Homebuyers: Shorter term mortgage preferred! Homebuyers in Singapore will likely opt for mortgage loans with shorter repayment periods. Serene Loong and her husband took a $760,000 home loan when they upgraded to a two-storey, three-room private apartment at Upper Serangoon in 2005. With a 35-year home loan they got from DBS Bank, the couple was paying $2,000 in monthly repayments. That loan has since been refinanced to 28 years with another bank, and monthly payments have come down to $1,800 at a lower interest rate of 1.88%. While a 50-year tenor may reduce monthly repayments, experts said interest could push the loan's amount by up by 15 to 20%. For example, a $1 million loan at 50 year tenor will total to $1.45 million by the end of its term - much higher compared to the 1.3 million principal and interest if the loan was taken up at a 35-year tenor, according to DBS. HousingLoansSG.com, which sees 20 to 30 enquiries a day, said around 70% of its clients opt for 25 to 30-year loans, while 15% go for the 30 to 35 year loans. The rest prefer terms of less than 25 years. In its 2011 annual results, residential mortgages have increased 21% in value year-on-year for 2011 compared to 2010. Coincidentally the wife and I have just made a partial repayment on our home loan. 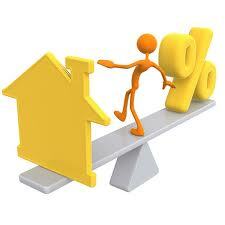 And we have chosen to reduce the loan tenure instead of the monthly repayment amount. So the cat's ouuta bag... we do not belong to the age group of 35 years and below! 1 comment to ''Singapore Homebuyers: Shorter term mortgage preferred!" I think there are courses (at first free and then they try to get a person to pay) whereby these course conductors (presumably also estate agents) encourage people to invest with no money down or take on high gearing, with the only aim of increasing cash inflows into the pockets (from rental income etc). This I feel is dangerous in a sliding mkt. It also depends on the amount of risk one is able to take on , whilst sleeping soundly in the night.